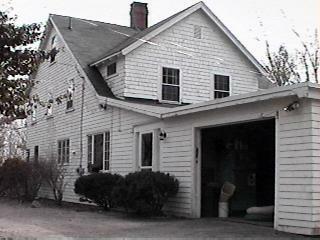 The Dr. Charles Wendell Townsend house at 217 Argilla Rd. In 1892 Dr. Charles Wendell Townsend and his family began spending summers on Argilla Road, staying at Smith’s Boarding house. He built his house a decade later. Townsend is known for his nature studies of the sand dunes and wildlife at Crane Beach and Plum Island. Dr. Townsend died in 1935, and the house was sold to his sister Gertrude in 1940, but the family continues to own part of the land.